Antifreeze in oil is a sign of an internal leak, usually caused by a bad gasket or engine failure. When antifreeze mixes with the oil, it robs the oil of its lubricating properties and can destroy an engine. 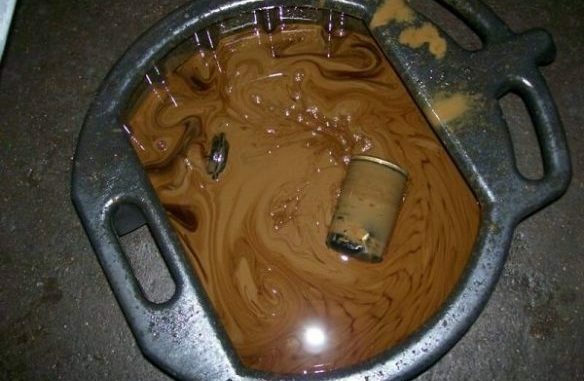 So, Antifreeze in oil creates a light brown liquid that looks an awful lot like chocolate milk. If you notice this on the dipstick, there’s a problem and you need to diagnose it. 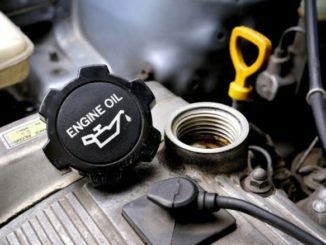 Consequently, Antifreeze actually thickens the oil, making it harder to flow through oil galleries and lubricate the engine. Also, Antifreeze has virtually no lubricating properties when mixed with engine oil. 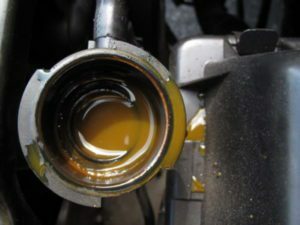 Antifreeze in oil causes a thickening of the lubricant, thereby increasing the oil viscosity and reducing the flow. 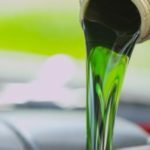 Another reason why antifreeze in oil damages the engine is that it creates an acidic environment within the oil. 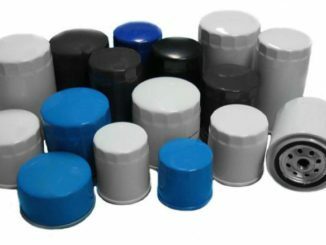 Organic acids will form and can jeopardise bearings and other frictional surfaces. 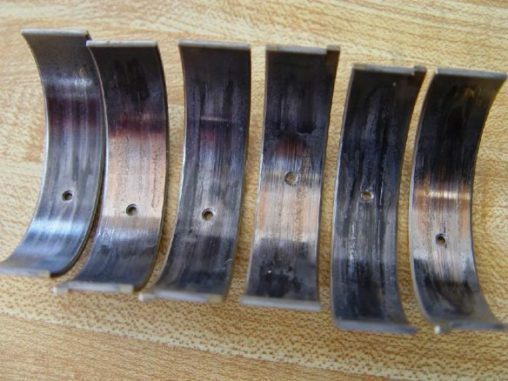 The corrosive conditions can pit the clad surfaces of the lead/tin overlay of the bearings. Consequently this will promote rust, and tarnish cupric metals of bronze and brass. Even a small coolant leak over time is enough to severely corrode engine steel and copper surfaces. Internal coolant leaks are most often due to a bad head gasket. So, A bad head gasket may leak coolant into a cylinder or into the crankcase. As a result, Coolant leaks into the crankcase dilute the oil and can damage the bearings in your engine. A head gasket leaking coolant into a cylinder can foul the spark plug and create a lot of white smoke out the exhaust. 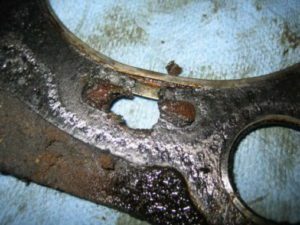 Head gasket failures are often the result of engine overheating (which may have occurred because of a coolant leak elsewhere in the cooling system, a bad thermostat, or an electric cooling fan not working). When the engine overheats, thermal expansion can crush and damage portions of the head gasket. This damaged area may then start to leak combustion pressure and/or coolant. In addition the gasket that seals the intake manifold to the cylinder heads may leak. Furthermore this could allow coolant to enter the intake port, crankcase or dribble down the outside of the engine. 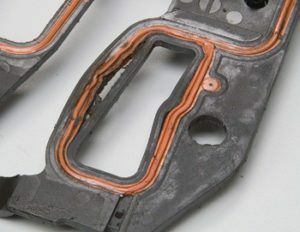 Some engines such as General Motors 3.1L and 3.4L V6 engines as well as 4.3L, 5.0L and 5.7L V8s are notorious for leaky intake manifold gaskets. The intake manifold gaskets on these engines are plastic and often fail at 50,000 to 80,000 miles. Other troublesome applications include the intake manifold gaskets on Buick 3800 V6 and Ford 4.0L V6 engines. Antifreeze can leak into engine oil and other lubricating oils in a variety of ways. The chain reaction then gains new life as the detergents and dispersants come in with the new engine oil. This now begins to mobilize the sludge and deposits. Then, within minutes after an oil and filter change, the new filter can become plugged again. Acids and precipitants form as the glycol, coolant additives and lubricant additives react. Hence these insolubles begin to plug the oil filter. Concurrently, the acids and water disrupt soot dispersancy causing a dumping condition. More sludge and insolubles form. By now the filter is plugged with the glycol transformation by-products. The oil and filter are changed. Typically around 15 percent of the old oil remains, either in the oil pan or on engine surfaces. The new oil (with detergents and dispersants) mobilizes the soot and the sludge, carrying it to the filter. Once again, the filter becomes clogged (even with the coolant leak fixed). 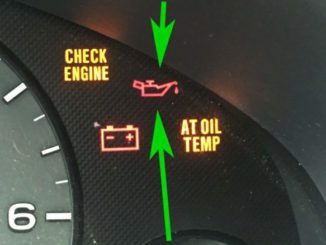 Years ago when your cooling system was low, you popped the radiator cap off and added your favourite brand of antifreeze,usually green or yellow and off you went. Now that isn’t as easy as almost every car maker has come out with their own blend of antifreeze. Many of these are long life and they come in a whole rainbow of colours. When adding antifreeze to your system, make sure you match what is in there already. Although you can safely flush the system and use the old standby green antifreeze, you don’t want to mix them. Finally a 50/50 mixture of whatever you use is critical for engine corrosion protection.